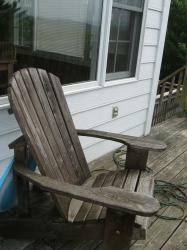 Every once in a while we are excited to receive photos of your furniture on decks, gardens and more. Here are a few photos that show more about this high quality furniture! Weathered look, Asheville NC, looking at Blue Ridge Mountains and Smokey Mountains. 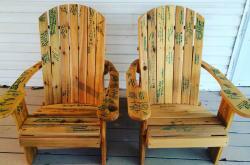 A Clever Keepsake for Wedding Memories! 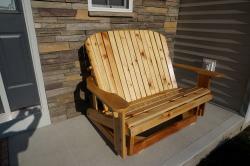 Loveseat Glider on the porch.